Dimensions: 8 ft. 11 in. x 8 ft. 1 in. 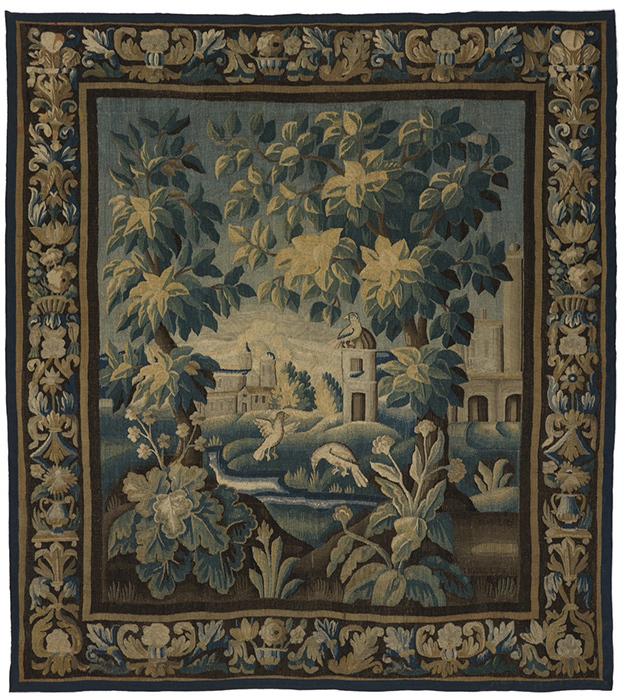 Verdure tapestries decorated with lush trees and vegetation in a simple palette of beige, green, brown and blue grew immensely popular during the 17th century. 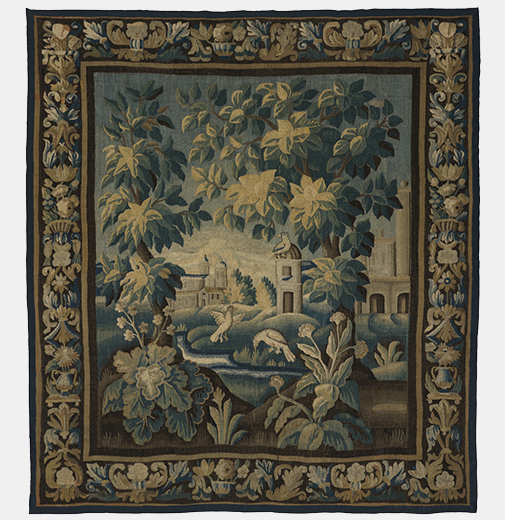 In this image two birds wade aside a winding stream in this scenic landscape with an ancient town in the rear, while the main focus of this tapestry are the large stylized leaves that fill the foreground.